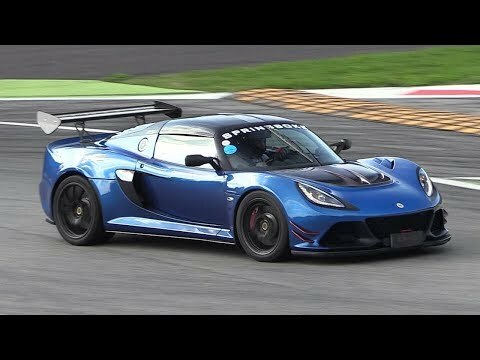 Couple days ago during a track day at Monza Circuit this guy met again the loud Lotus Exige Cup 380 he saw and recorded a few months ago(we shared that video too). The car is still fitted with a 2bular decatted exhaust but now it has a new 7-speed sequential gearbox which further improves the car’s performance and the driving experience. The owner was kind enough to let him put his GoPro inside the cockpit and enjoy a few test laps made with the new gearbox together with race driver and driving instructor Alberto Cola giving him a few tips and advice.